A lot of people spend a lot of time in their cars. It’s to the point now where Google, Apple, car manufacturers and others are trying to get technology there as well. The ecosystem isn’t all that amazing yet. Still, motorists, mechanics, and car fans have some fun stuff they can play with. Here are the best car apps for Android! Here are some more apps you might find helpful! Android Auto is easily one of the best car apps around. It gives drives quick access to Google Maps, messaging apps, music apps, and other utilities quickly. It works two ways. The app can open on your device and work from a mount on your dashboard. 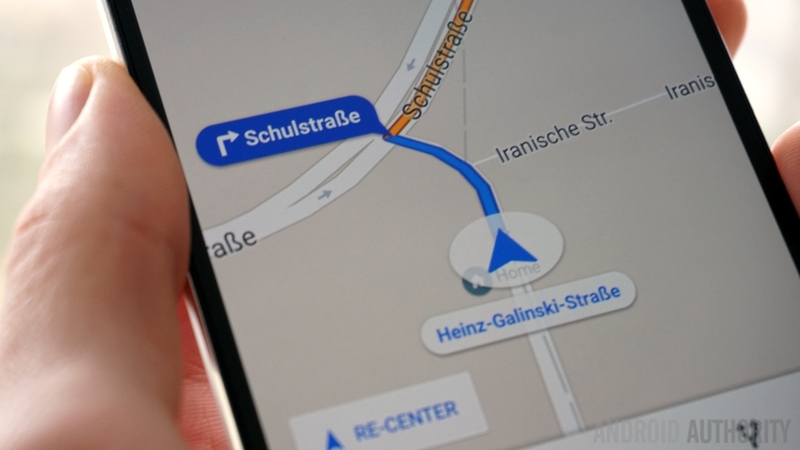 There are also cars with Android Auto built-in. That puts Android right there on your car's touchscreen. In either case, it's completely free and usually better than what car manufacturers offer. The only downside is that Android Auto isn't included on a whole ton of vehicles yet. However, we expect that to change over the next few years. Car Maintenance by myCARFAX is a car management app. That means you can keep an eye on a bunch of things. You can see all of your maintenance and repairs from the app. Additionally, the app alerts you when it's time for additional maintenance or even to renew your registration. There is a mechanic search. However, it'll only show mechanics in the CARFAX network. That's likely a good thing most of the time. It's one of the better car apps to keep everything organized. Drivvo is one of the most powerful car apps. You can keep track of basically everything. That includes repairs, maintenance, expenditures, miles driven, gas mileage, and more. It's especially good for those who drive for work. You can use this app to keep track of your expenses for tax season. It also has maintenance records with reminders when more maintenance is necessary. Fuelio is a very similar app and arguably Drivvo's biggest rival in this space. They both do more or less the same thing in different ways. You can go with whatever one you feel is best for your needs. GasBuddy is a money saving app for motorists. It crowd sources gas prices in your area. You can then choose the gas station with the cheapest gas. It works best on road trips. However, it's just as good if you're cruising around your home town. You can also contribute by changing prices as you see them. Those who help contribute can win $100 in free gas. The crowd sourcing helps keep gas prices as up-to-date as possible and it's a fun little community to be a part of. It's not the most feature-packed app on the list, but it's definitely one of the most useful car apps. SpotAngels is a bit of a wild card. It's one of the newer car apps. However, it has a ton of potential. Its primary function is to help you avoid parking tickets. Currently, there are 20 supported cities where that works. It can also keep track of where you parked. That way you don't get lost trying to find your car. That functionality is available to everybody whether they're in a supported city or not. People can also send information and images for places that are safe to park anywhere. Over time, this could be a great app to help avoid parking tickets. Torque Pro is an app for troubleshooting. It pairs with various OBD 2 devices via Bluetooth. It can then read the codes and let you know what your check engine light is. It's one of the better car apps for mechanics and those who can do their own car work. It can also keep track of a variety of stats from your car. That includes a GPS speedometer, alarms and warnings, CO2 emissions, and more. There is a free version you can try first. However, it was 2015 when it wast last updated. The pro version gets more frequent updates. It's just something to keep in mind. YouTube is an amazing resource for car fans. There are a ton of mechanics, aficionados, and other car people on there. They make tons of videos about how to change your oil, how to fix brakes, and even cosmetic stuff like the proper method to wax your car. Plus, you can find videos about fun cars, new cars, old cars, and highlights from various types of races. Of course, most people know that already. This one isn't a very exciting pick. It's still among the best car apps, though. Most large chain gas stations have rewards programs. You use your card when you buy gas and other items. The rewards points stack up and you use them to get gift cards, free stuff, and discounts on gas. There are several grocery stores with gas station chains that offer similar rewards. These may take a while to be effective. However, it's possible to get things like free gas and all kinds of other things over time. They're car apps worth having. In fact, everyone should have at least one of these apps. Some popular brands include Giant Eagle, Speedway, Kroger, Circle K, and others. There are tons of stores that sell car parts. AutoZone, Advanced Auto Parts, and NAPA are just a few. Most major car parts chains have dedicated apps. You can use them to order parts, buy things, and surf inventory. In addition, online stores like eBay and Amazon (to a lesser extent) can be excellent sources for after market parts and parts that are hard to find. We won't recommend any one store because they all perform about as well. However, these are car apps many should have. Many manufacturers have car apps now. They provide a variety of functionality as well. Some of the features include remote starting your car, unlocking or locking the doors, OnStar access, diagnostics, and some bonus stuff. You need the right trim levels and newer cars to make these work, usually. However, they can be pretty handy. The range of features is fairly large. However, they range dramatically between manufacturers. Most of them are good enough, but they could all use some stability improvements. Still, you own the car, you might as well look, right? Some manufacturers that lean quite heavily on their mobile app experience include Ford (linked), Hyundai, and Chevy, but most manufacturers have official apps that do at least something. Thank you for reading! Here are some final ideas for you! If we missed any great car apps for Android, tell us about them in the comments! You can also click here to see our latest Android app and game lists!